Frostys Family Pizza has been a Put in Bay tradition for over 50 years. They have proudly been welcoming patrons into their establishment, while never requiring a cover charge. Dig in to some of their famous pizza or opt for their sizable subs. While waiting for your meal, play a game of pool on the billiards table. 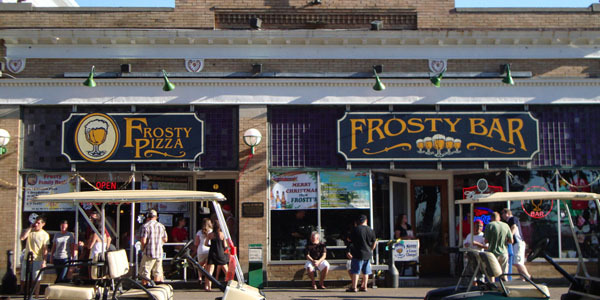 Frostys at Put-in-Bay is the place for icy cold beer and hot, scrumptious pizza.